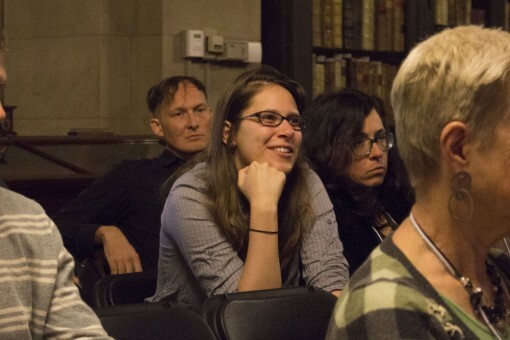 Each year, the Institute at Brown for Environment and Society sponsors an interdisciplinary program under the title of “Earth, Itself,” designed to stimulate conversations and collaborations across the natural and social sciences, humanities and the arts. The Institute at Brown for Environment and Society (IBES) is concerned centrally with the challenges facing us in ensuring sustainable life. 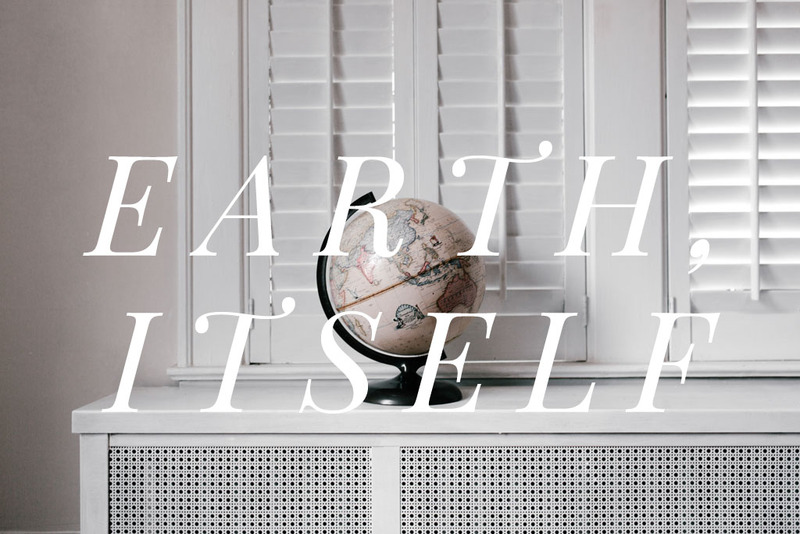 Earth, Itself is an integrative program of the humanities, natural and social sciences, and creative arts, designed to further conversation about the environment in innovative, engaging, and inclusive ways. 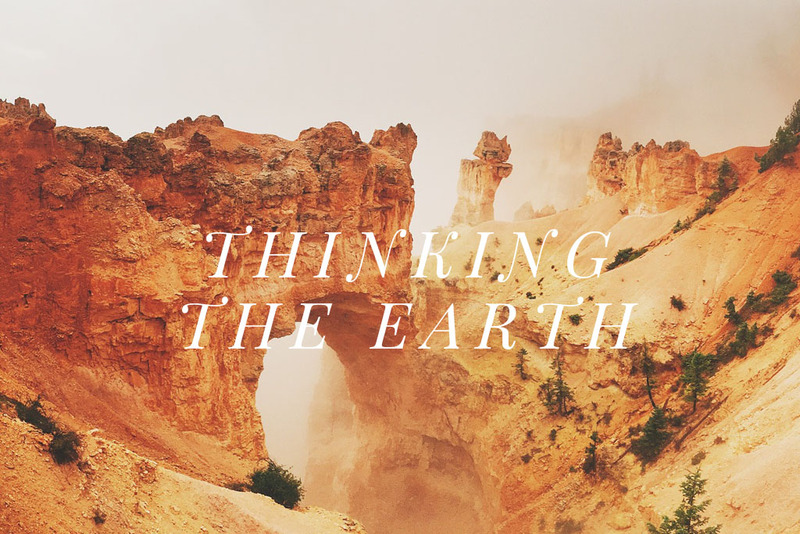 The aim is to highlight ways of understanding Earth, environmental change, knowledge systems, and policy, to address some of the most complex problems of our time. The program cuts across the key interests of IBES faculty and their collaborators, and is directed by Lenore Manderson. 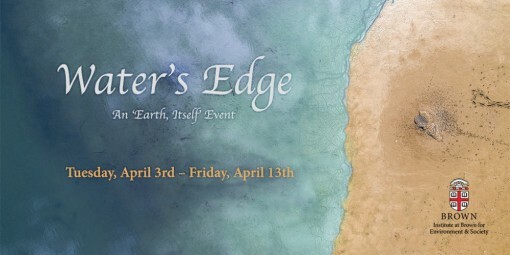 Thinking the Earth was the first signature event, held April 23-24, 2015, and brought together researchers working on earth and its uses, on ontologies and epistemologies of land, and of stewardship. Across the panels, participants considered the complex ways in which people understand earth and human relationships to land and its resources, as expressed and enacted through local ideologies and global policies and practices. The opening keynote lecture was from Dan Nepstad, Executive Director and Senior Scientist of the Earth Innovation Institute, a research, policy and outreach organization that supports sustainable development in Brazil, Indonesia, Colombia, Mexico, Peru, and Kenya. A second keynote lecture was delivered by researcher and hula dancer Kekuhi Keali‘ikanaka‘oleohaililani, who works on Indigenous GIS for sustainability goals, and leads various programs for Native Hawaiian cultural preservation and education. Participants included scholars from history, literature, anthropology, geography, natural science, and creative arts concerned with the environment, climate change, knowledge systems, and social engagement. We also hosted a poster competition. 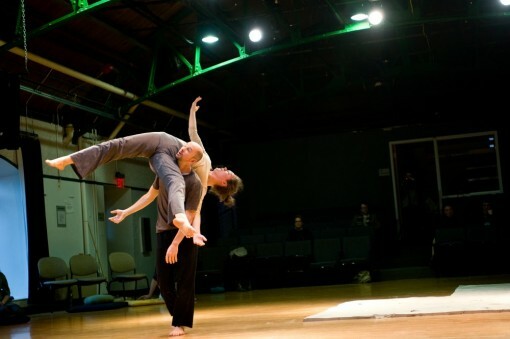 The art practice coupled with this program was dance, with Shura Baryshnikov, Teaching Associate in the Department of Theatre, Arts and Performance Studies at Brown, working with other Contact Improvisation dancers from the US and Canada. The primary performance, Aftershock: sampling impact, used wet clay on the wooden floor of the Ashamu Dance Studio, allowing dancers to imprint their weight through dance. Atmospheres was held from April 28-30, 2016, and focused on air, climate, and the environment. Under this theme, participants and programs explored atmospheric circulation and weather; air as habitat—insects and birds; and air pollution and quality of air. The keynote speaker was Kenyan ornithologist Mwangi Githiru, who is Director of Biodiversity and Social Monitoring at Wildlife Works, leading teams assessing environmental and social impacts of REDD+ in African settings and beyond. The program also included a performance from actor/theater maker Wendy Woodson (Amherst), and acoustic ecologists and musicians Leah Barclay, Lawrence English, and Garth Paine, who all participated in panels and in a concert on the final night. The art program—of sound art, installation, music—coordinated by Brown sound artist, Associate Professor Ed Osborn, incorporated several student acoustic installations in the Perry and Marty Granoff Center for the Creative Arts, and a sound installation by Jim Moses of the Music Department in the greenhouse on the top floor of the IBES building. In addition, there was an early morning guided bird walk, a film night on the environment, and a poster competition and Ignite! speaking competition showcasing the research of Brown students and staff. piece by Wendy Woodson (Amherst). 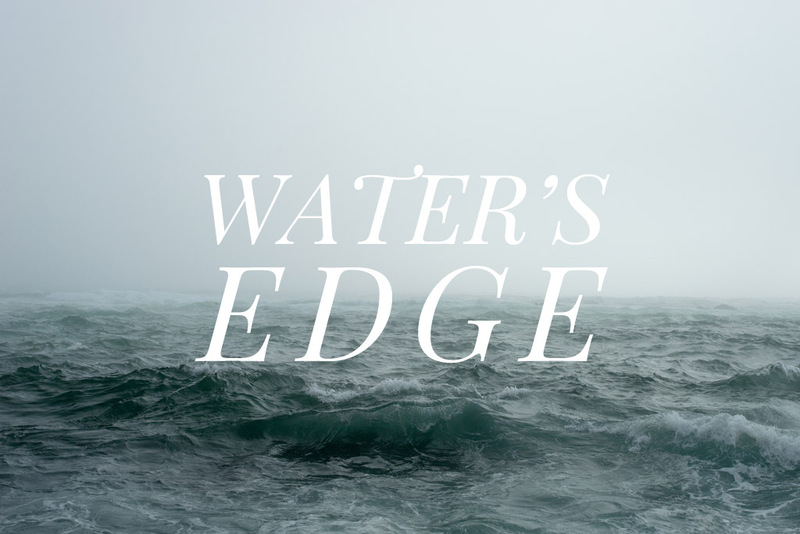 In 2018, the program addressed the fourth element, water, with events through April at Brown University and in September at the University of the Witwatersrand, Johannesburg, South Africa. By including both continents, we addressed multiple questions of climate change and the environment, and about artists’ and technological responses to this. The academic program at Brown included a seminar entitled Sioux Surveillance: The Drone Warriors and the #NoDAPL Movement, with Myron Dewey, Lisa Parks and Jennifer Weston on community protest against the Dakota Access Pipeline, and the plan to cross the Missouri River, so threatening the region’s clean water and ancient burial grounds. The program also included a panel in the John Carter Brown Library, taking advantage of the concurrent exhibition on Exploring the Four Elements. Part of the academic program was held in the John Carter Brown Library, taking advantage of the concurrent exhibition on ‘Exploring the Four Elements’. In 2015 the library held an exhibition entitled Subterranean Worlds: Under the Earth in the Early Americas, showcasing library material on the quest for metals in the colonial Americas. In 2016, the library exhibition, Air America, illustrated the multiple and resonant meanings of air to the history of the Americas, and in 2017, the library exhibited a range of works on fire in the Americas. 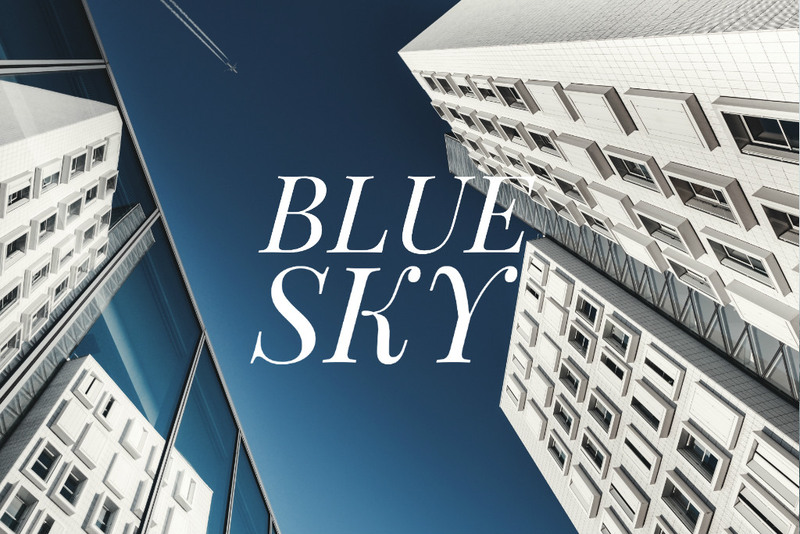 From April 10-12, 2019, Blue Sky: Agility and the Possible in a Warming World will bring together art and science perspectives on imagined futures and science imaginaries as responses to global warming. Keynote lectures and scholarly panels will focus on bio- and geo-engineering, global governance and local action, contributions from the planetary sciences, and the alternative pathways we might take. There will be film screenings, an exhibition at the JCB Library, poster and flash lecture competition, and a visual arts program. 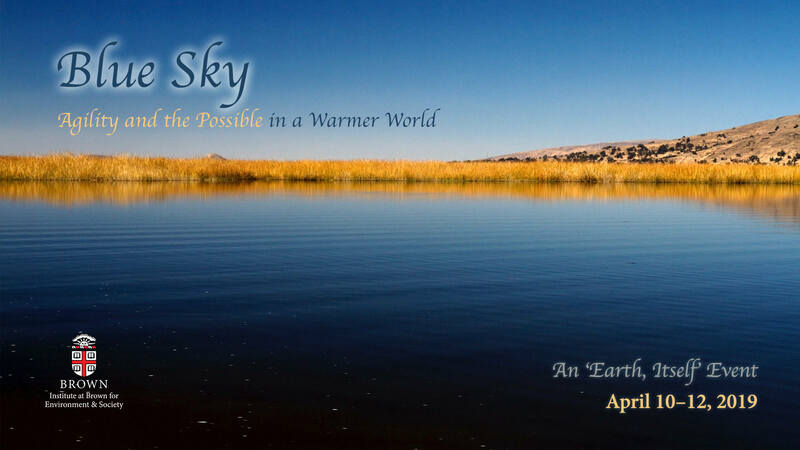 Blue Sky: Agility and the Possible in a Warming World will be held from April 10-12, 2019, and will bring together art and science perspectives on imagined futures and science imaginaries as responses to global warming. We face an urgent problem of global warming, with interrelated problems of continued population expansion, high levels of consumption of non-renewal materials, and finite resources on Earth. In his later years, physicist Stephen Hawking argued for continued space research, to build on past progress and look to the moon, Mars, and beyond. While ideas of exploring the resources and moving to other planets are fanciful, the proposition has serious ethical, fiscal, and scientific policy and program implications for scientific research, the roles of artists and scientists, and the practical responsibilities and pragmatic actions we have to Earth. Keynote lectures and scholarly panels will consider bio- and geo-engineering, global governance and local action, contributions from the planetary sciences, and the alternative pathways we might take. There will be film screenings, an exhibition at the JCB Library, a poster and flash lecture competition, and a visual arts program. 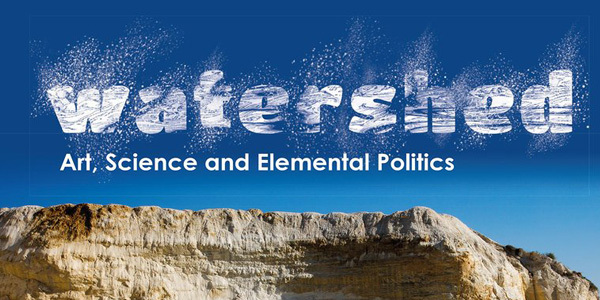 In 2018, the Earth, Itself program will address the fourth element, Water, with events through April and May hosted both at Brown University and at the University of the Witwatersrand, Johannesburg, South Africa. By moving to two continents, we will take advantage of a number of new collaborations and address multiple questions of climate change and the environment. 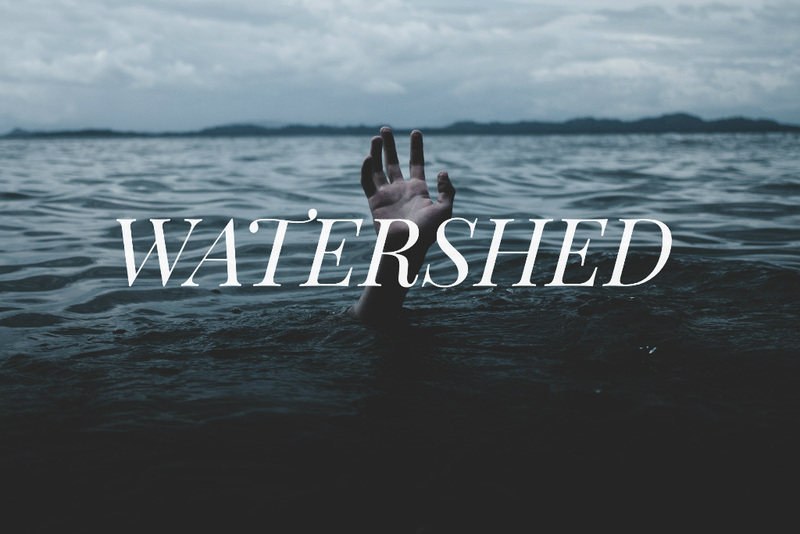 These will include drought, flood, sea rise, and the precarity of seashore settlement and ocean states. The program will also give focus to water rights, water in agriculture and manufacturing, and riverine and marine life. The program will be holding a major conference on water and governance in association with the Watson Institute for International and Public Affairs. The arts programming will be grounded in text, the spoken word, and theatre. Amongst other works this will include an installation on migration across oceans of birds, marine life and humans, in collaboration with RISD. Again, Earth, Itself will collaborate with the WaterFire festival, present a film program, and run poster and Ignite! competitions. 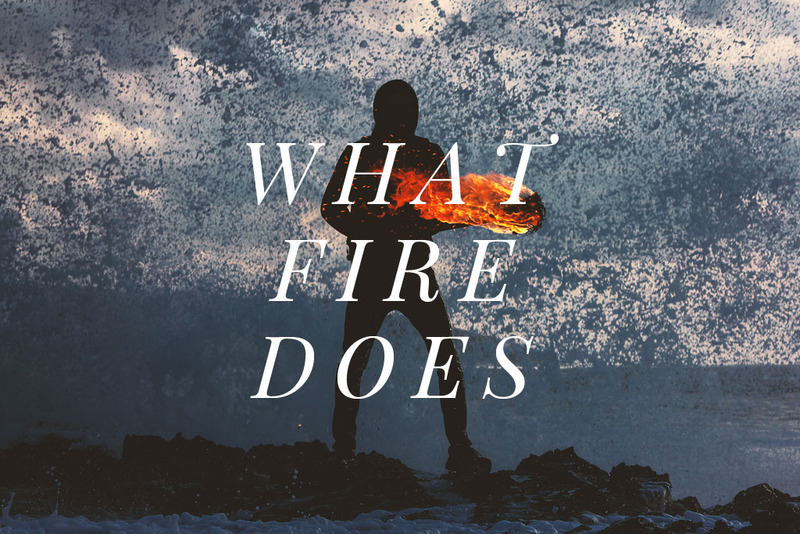 What Fire Does will be held primarily from April 18-28, 2017, and will focus on the productive, creative, destructive, and transformative powers of fire. The creative arts are the ‘fire arts’—particularly ceramics and glass—with exhibitions and performances conducted in collaboration with RISD (Rhode Island School of Design). The keynote speakers will be Stephen J. Pyne (Arizona State University) and Pamela H. Smith (Columbia University). Academic panels, lectures and symposia, to be held across departments, will include the unintended consequences of fire fighting and soil contamination; fire on ice—the role of fire in early human migration and settlement in the Paleolithic period; and, in collaboration with the John Carter Brown Library, an afternoon panel on the Americas and the generative power of fire. Brown students will be composing pieces for the 2017 WaterFire festival, with its premiere at 2017 Commencement (May 27). We are collaborating again with Magic Lantern for an evening of Films on Fire, and we will be hosting a poster competition. 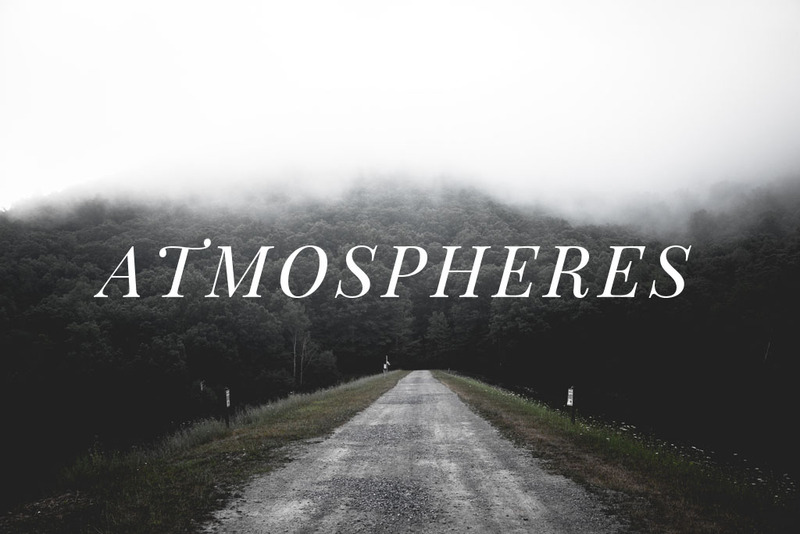 On April 28-30, 2016, we present Atmospheres, on air, climate and the environment. We will explore such topics as atmospheric circulation and weather; air as habitat—insects and birds; air pollution and quality of air; and legislating, governing and controlling air. The arts practice, curated by Brown scholar and artist Ed Osborn, includes sound art, installations, and music, involving both visiting artists and Brown students. Concurrently, the John Carter Brown Library will mount an exhibition on air and climate in the early modern world, part of its four-year series on The Four Elements that explores new ways of engaging—through environmental history—with its renowned collection of books, maps, and prints. Presenters include Kenyan Dr Mwangi Githiru, an ornithologist and Director of Biodiversity and Social Monitoring at Wildlife Works, Kenya; Michael J. Hathaway (University of British Columbia), author of Environmental Winds; Cymene Howe (Rice University), who works on the politics of wind in Oaxaca; sound artists and acoustic ecologists Leah Barclay (Griffith University, Australia), Lawrence English (Australia), and Garth Paine (Arizona State University); Bina Venkataraman, Director, Global Policy Initiatives, Broad Institute; Tongzhang Zheng, Center for Environmental Health and Technology at Brown; Scott Turner, Director of Web Communications at Brown, and weekly nature commentator for the Providence Journal; and Wendy Woodson, Professor of Theatre and Dance at Amherst College. The activities will include sound and theatre performances, an Ignite! program, and, as last year, a poster competition. The program is open to students and faculty, policy makers, community members, and others who care about the environment, and thrive on scientific discovery, debate, controversy and sound.